Order Travel Guides - Ohio. Find It Here. Get Your 2019 Ohio Travel Guide! 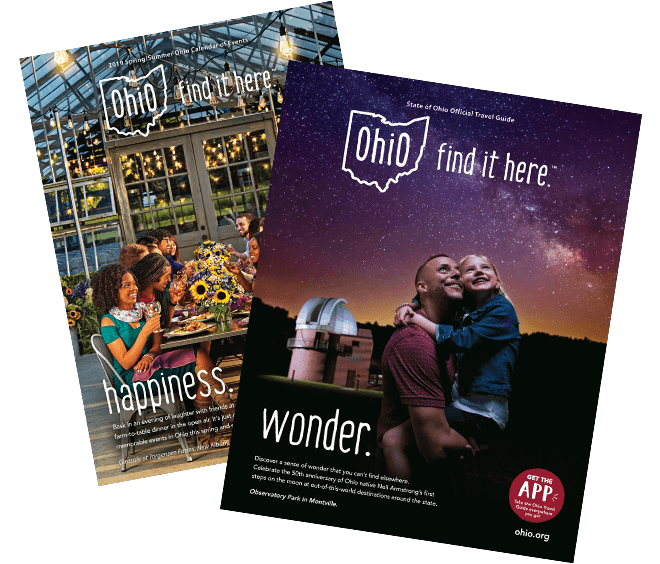 There’s no better way to start planning your next Ohio vacation or trip than with the FREE publications from Ohio. Find It Here. Packed with amazing articles, informative listings, and outstanding Ohio stories, these great guides are full of travel inspiration and hidden gems you need to know about. To get a glimpse of our 2019 Ohio Travel Guide or the 2019 Spring / Summer Ohio Calendar of Events — featuring festivals and events from March through August — simply click below to view the online versions. If you prefer to have the guides sent to you, just fill out the form below and we’ll send you one (or both) in the mail.